The booking number is 07714998127. Snodland Community Association is a charitable organisation, set up in 1981, with the intention of providing the expanding town of Snodland with its own community centre. 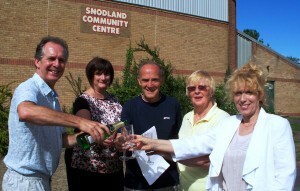 As a charity, Snodland Community Association ensures that all of its profits are ploughed back into the community centre. is to provide a top class venue for community events, whether they be leisure, sporting or educational, at a very competitive price. A large community hall, which can comfortably seat over 200 and which is equipped with air conditioning. A newly modernised and expanded licensed bar, kitchen and stage, which makes it an ideal venue for a wedding or a theatrical production. Facilities for sports such as badminton and shortmat bowls. A recently built function suite, known as the Paddlesworth Rooms. Ideal for smaller gatherings of up to about 100, it has air conditioning and it served by its own bar and small kitchen. It divides into two distinct areas – a carpeted, fully furnished lounge leading onto a patio facing the North Downs, and an open space with wood effect flooring, ideal for meetings, conferences, dancing, discos or wedding breakfasts. Two sets of good quality toilet facilities, including disabled toilets, which serve either the main hall or the Paddlesworth Rooms. Two sets of changing rooms with showers and toilet— the original changing rooms are ideal if taking part in a sporting activity on Potyn’s sports field, while the recently-opened changing facilities provide access to events on the field and the Centre. A small lounge or meeting room—ideal for a small gathering up to around 20. A fully equipped boxing club and gym—opened in September 2009. See our club page for details. The vision completed at last! After it was opened in 1987, Snodland Community Association had always planned to expand the community centre, so that it could better meet the needs of an expanding town. Taking note of users’ comments and working in close liaison with the Town Council, the vision which has taken over thirty years to realise took shape during 2013. 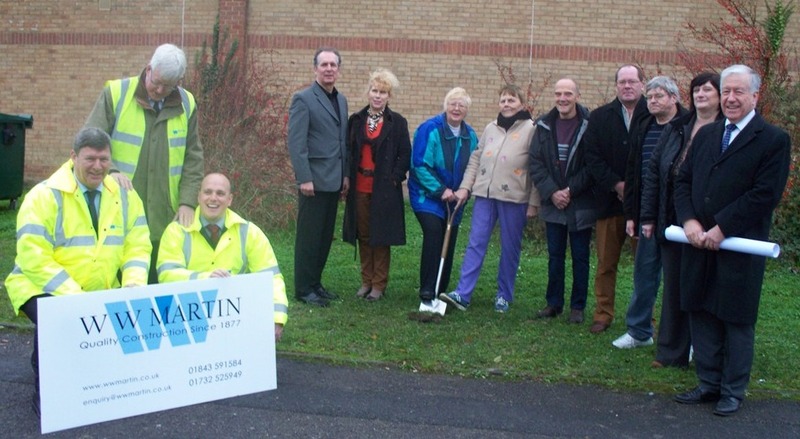 The funding for the project was gradually acquired, the main contributors being Berkeley Homes, Kent County Council, Snodland Partnership, Snodland Community Association, Snodland Town Council and Malling Lions. During August 2013 the final piece of the jigsaw was put in place when the National Lottery informed us that it was willing to provide funding of £50,000, which meant that the building of the extension could begin in January 2014. The extension, named the Paddlesworth Rooms and the new changing rooms were finally opened in September 2014. Despite very wet weather during the winter and a delay of several months, the newly extended community centre was formally opened on 5th September 2014. This was followed by an open day the next day when members of the public were invited to tour the new facility.See the early progress of this building project by clicking on building the extension. Leave at J4 and follow signs to Rochester/Snodland. Continue forward through traffic lights at Lunsford until you reach a roundabout. Take the second exit at Ham Hill & travel past the Shell garage uphill and then down towards Snodland town centre. At the crossroads, turn left past the Bull pub and after 100 metres turn right by the Monk’s Head pub and proceed out of the town. 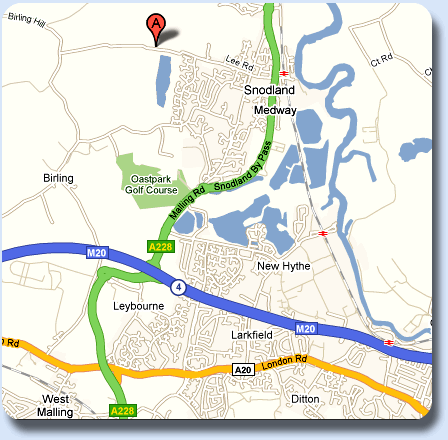 Snodland Community Centre is the third turning on the right on the edge of the town. Leave at J2 and follow signs to West Malling/Snodland. Continue down Cuxton Hill along the A228 through North Halling. At the Halling roundabout take the second exit along the Halling bypass. Continue through another roundabout until you reach the Holborough Lakes roundabout. At this roundabout get into the right hand lane, so that you can drive straight ahead but filter right. Enter Snodland by the Clock Tower. Continue along the Holborough Road until you reach Snodland town centre. At the crossroads, turn right past the Bull pub and follow the directions outlined above.